In the 1930s, predating the invention of modern-day plumbing, most Americans bathed about every two weeks in a manually-filled washbasin. The Environmental Protection Agency reported that 90 percent of Americans bath daily, as of 2007. Today, even RVs have some sort of shower and toilet with corresponding plumbing, according to Jim Twamley, full-time RVer and RV teacher, and owner of the website RV Now. You can easily convert your current system to a shower-and-toilet combo, whether your RV has a preexisting toilet or shower only, or a separate toilet and shower. Decide which adjacent wall inside the RV -- preferably in or next to the current bathroom area -- to install a shower pan for a shower-and-toilet combo. Choose a shower-pan design that will best accommodate the dimensions of the space you have designated, and that is compatible with your existing plumbing. Combo-unit shower pans are typically a minimum of 24 inches wide by 36 to 39 inches in length. For more information on shower pans, please see resources. Remove any obstructions to the shower pan on the immediate floor and adjacent walls. Make sure that the floor surface is even and level before installation. Line the drain holes in the shower pan up with any existing plumbing drains. Use a jigsaw to drill additional holes, enlarge existing drain holes or to change the location of the drainage hole to accommodate the shower-and-toilet-pan combo as necessary. 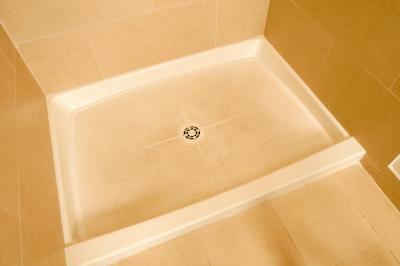 Apply waterproof flooring adhesive to a level and dry floor surface and place the shower pan in the desired position. Secure a black water holding tank below the RV, located beneath the shower-pan drain, if one doesn't already exist. 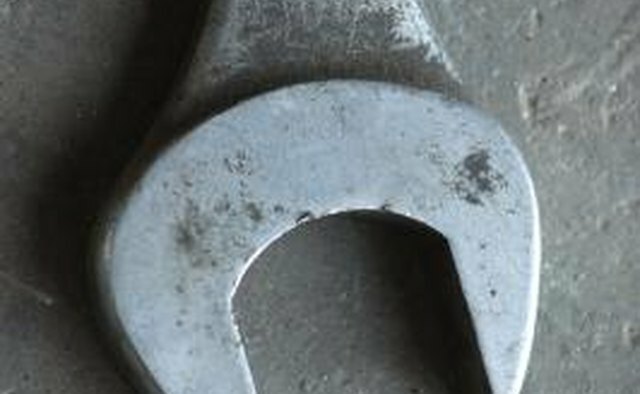 Use an electric screwdriver to tighten the corresponding screws and an open-ended box wrench to secure bolts to the holding tank. Secure the round, metal toilet-disk mount that is included with your new toilet to the shower-pan floor using an electric screwdriver with a Phillips or flathead screw, and the screws provided. 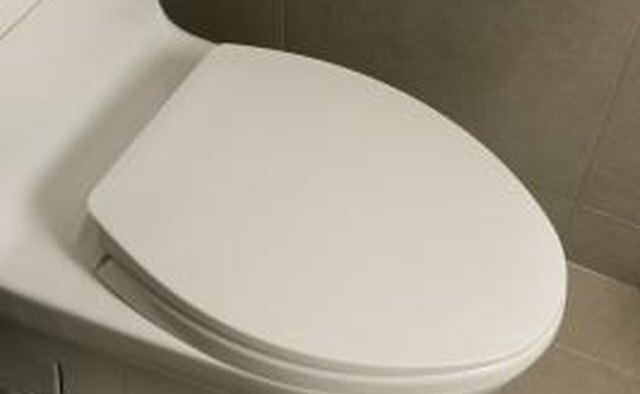 Secure the toilet flange, which is a circular, rubber ring that looks like a large plumbing washer, to the top of the round, metal toilet-disk mount with a 1/4-inch bead of glazing compound around the circumference of the disk. Apply the glazing compound with a caulk gun or use a small, handheld, squeezable tube. 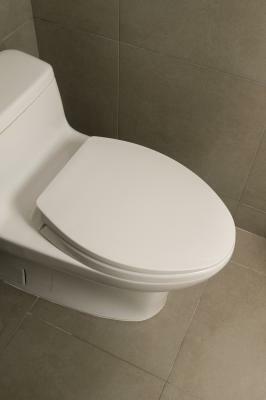 Install your marine toilet by assembling it according to the enclosed instructions using the hinges and screws provided. Place the toilet evenly on top of the flange with the bolts protruding up through the mounting holes in the base of the flange. Install all washers and nuts provided with the toilet. 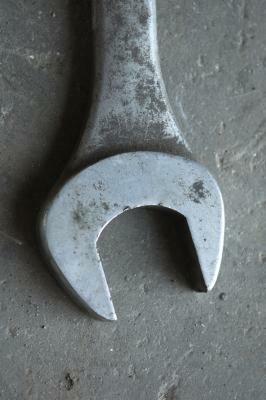 Tighten the nuts down uniformly with a standard 7/16-inch, open-ended wrench. Connect toilet and shower water supply to water valves using the appropriate fittings and extensions. Connect the water hose from a mobile-shower head fixture to the appropriate water outlet that is usually already installed in your RV. Turn on the water supply and test shower and toilet for leaks. 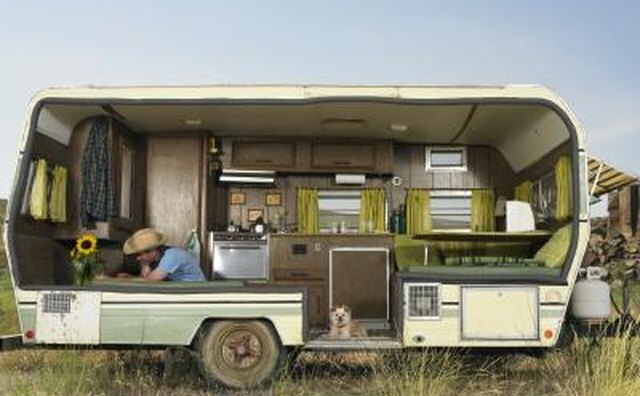 Your toilet should drain into the black water tank underneath the RV. Your gray water from the shower should flow down a separate drain on the shower pan into the same tank, or an adjoining gray water tank. Drain your sewer and gray water from a hose from the exterior holding tank at any RV-waste disposal site. Drain the exterior waste water tank(s) before they become overfilled to avoid a stinky mess. Newer RVs have indicators that let you know when the tank is full. Otherwise, you will know it is time to drain the tank when it starts to back up into the shower drain. You can purchase RV shower-and-toilet combo accessories at local RV-surplus stores or online on eBay, Craigslist.org, or other RV dealers of parts and accessories. 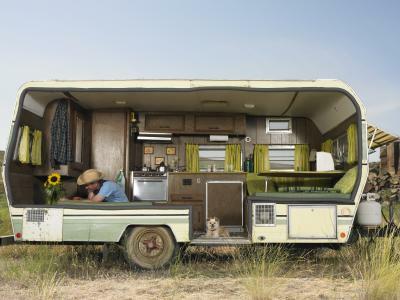 Dump your RV waste only at RV disposal sites to avoid a citation for illegal wastewater dumping. Check your water sources to be sure you are not using contaminated water for showering.